Quinn K. Zhao is partner in the Princeton, N.J. office of Hill Wallack LLP and a member of the firm’s Corporate Law, Venture Capital and Emerging Markets, and Life Sciences practice groups. Mr. Zhao has extensive experience in representing domestic and international corporations in mergers, acquisitions, disposition of assets, recapitalizations, and stock sales and exchanges in the U.S. He advises angel and institutional investors in various venture capital investments in a variety of industries. Mr. Zhao also counsels Chinese private and state-owned entities in establishing subsidiaries and branch offices in the U.S. and represents them with regard to corporate, intellectual property, immigration, employment, regulatory, and compliance issues and litigation in their operations. Mr. Zhao is admitted to practice in the states of New Jersey (2007) and New York (2006), and the federal District of New Jersey (2008), Southern District of New York (2009), and Eastern District of New York (2007). He earned his J.D. from Willamette University College of Law and his LL.B. from East China University of Politics & Law. 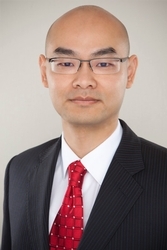 Mr. Zhao has law degrees and extensive law practice experience in both the U.S. and China. He is fluent in English, Mandarin and the Shanghai dialect. Mr. Zhao has extensive experience in representing both public and privately-held entities in mergers & acquisitions matters in a broad range of industries. He also represents angel investors and venture capital firms in funding start-up companies.